MAKATI--Filipino cyclists will now have a chance to experience the world's toughest bike race without even going to America. 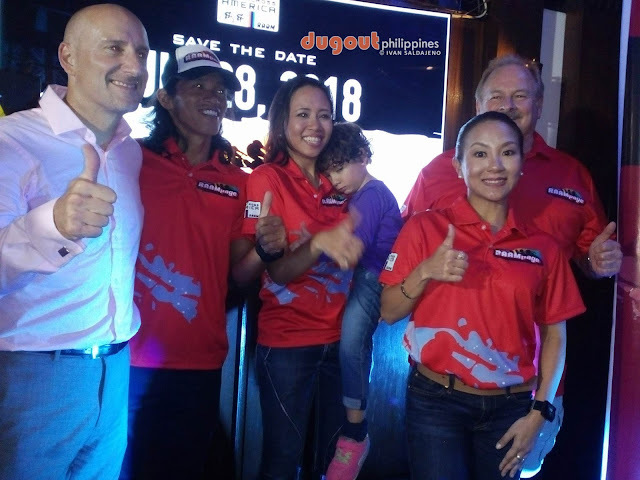 Enter Cycling RAAMpage, the Philippine version of the Race Across America, which was launched to the media on Thursday night at the Union Jack Tavern. "Cycling RAAMpage is an ultra-distance cycling race," said Carmela Pearson, one of the organizers of the event set for July 28 at The Villages at Global Clark in Angeles. Divided into six-hour, 12-hour, and 24-hour time trials for individuals, duos, and quartets of varying ages and genders, the said race serves as the lone Southeast Asian qualifier for the 2019 RAAM. "The goal is to introduce the Philippines to the other Southeast Asian countries," continued Pearson, whose husband Colin already raced the RAAM before. The female Pearson later bared, "We also invited India, Taiwan, and Japan, so hopefully we'll see more of them coming in the next few months." While RAAM and its regional qualifiers have been compared to the Tour De France and each region's local counterparts, Pearson said that RAAM is an entirely different game. "It's a speed race, but definitely, the format itself is very different. Usually in races like Tour De France, it's point-to-point. In this one, you're just in one loop going around," she continued. "It's not just physical endurance that we're testing but also the mental." Racers will do multiple laps in a 33-kilometer loop without any rest or pit stop. The one who travels the longest after the time limit in the division he or she played at will be the winner. On the other hand, cyclists who breach the 612-kilometer mark for men and the 564-kilometer mark for women in the 24-hour solo category will become part of the RAAM proper. Registration is currently ongoing at cyclingraampage.com.